Iranian officials and the country's media were quick to dismiss U.S. allegations that Tehran was behind a plot to assassinate a Saudi envoy, even though the news broke in the middle of the night in Iran. Washington said it had foiled a plot by two men linked to Iran to kill Saudi Arabia's ambassador to the United States, Adel Jubeir. Iranian officials suggested the case was a "fabricated" scenario aimed at creating divisions in the region and helping U.S. ally Israel. They also charged that the allegations were a move by the United States to deflect attention from the current Arab uprisings and the "Occupy Wall Street" protests. The Islamic Revolutionary Guards Corps, whose Quds Force was singled out as being behind the plot, rejected the accusations and said the U.S. was trying to divert attention from the "anti-capitalist" "Occupy Wall Street" movement. IRGC Deputy Commander Hossein Salami called the plot "ridiculous and unfounded." "These accusations are aimed at creating divisions between Shi'a and Sunnis and break the unity in the Islamic world. It comes from America's inability to get out from the crisis that the Islamic awakening has created for them in the Middle East," Salami was quoted as saying on October 12. Iranian Foreign Minister Ali Akbar Salehi called the allegations a "clumsy" and "childish" scenario by the United States, adding that it will bring shame on those who planned it. "Westerners, especially the U.S. and Zionism, have reached an impasse in their policies," Salehi told official IRNA news agency. "Therefore, in order to divert the attention from what is happening in their countries, they have come up with a childish, ridiculous, and laughable scenario against Iran that is dead on arrival." Other Iranian officials had more or less similar reactions, including parliament speaker Ali Larijani, who told an open session of the Iranian parliament that the plot was an attempt by the U.S. to cover up internal problems. 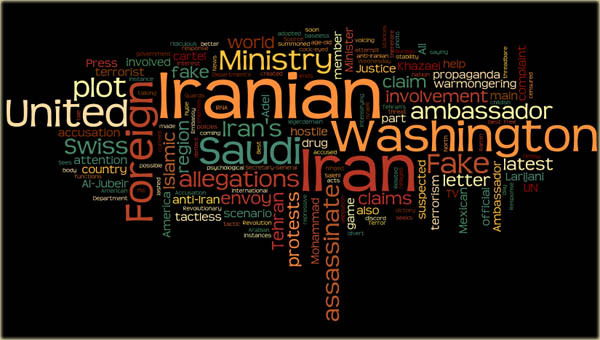 The semiofficial Mehr news agency, meanwhile, explained that Iran would not gain anything from the assassination plot while claiming that the United States benefits domestically and also internationally from the alleged plot. 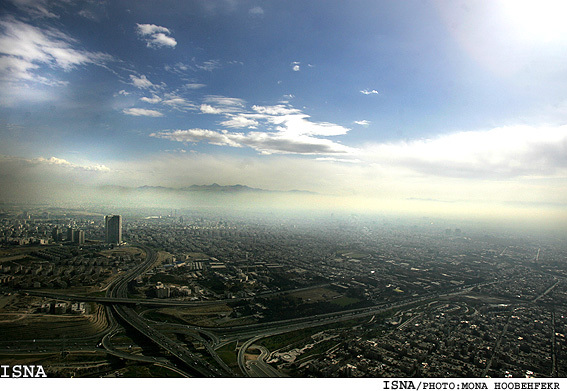 While hostility and rivalry between Iran and Saudi Arabia are well-documented, Mehr claimed the two countries have been moving closer to each other. "Iran and Saudi Arabia are considered the most important countries in the region, and the closer [ties] between the two has had significant achievements for the region; the West, led by the U.S., do not want stability in the region, therefore they cannot tolerate the rapprochement, they use every opportunity to make Iran and Saudi Arabia confront each other," Mehr claimed. The semiofficial news agency wrote that the United States can use the plot as an excuse to put an end to the "Occupy Wall Street" movement. "The allegations can lead to more security measures in the United States," Mehr said. "In a way it can be used as an excuse to prevent street protests." Internationally, Mehr said the murder plot allegations can help the United States build an anti-Iranian coalition in the region and push forward its "expansionist" policies in Iraq and Afghanistan "with a greater peace of mind." The semiofficial Fars news agency, which is said to have ties to the Revolutionary Guards, suggested that the U.S. has failed in its policies and is now determined to affect developments in the Islamic world. The plot, according to Fars' bizarre theory, is part of Washington's plans to halt its demise. Fars went on to claim that the plot allegations demonstrate that Washington is planning terrorist actions against Iranian diplomatic centers and also Iranian diplomats. "But since such an approach would lead to international and regional reactions, [Washington] tries to portray itself and its friends as the victims of terror plots and not those who planned [them]." Fars added that the recent assassination of two of "Iran's friends in the region" -- including former Afghan President Burhanuddin Rabbani -- should be viewed within the same framework. The accusations against Iran have led to concern among some who believe it could lead to a possible confrontation. On October 12, former Iranian President Mohammad Khatami was quoted as saying that he is worried about recent "pretexts" against Iran. Khatami, who has come under pressure over his support for the opposition movement, did not directly address the assassination allegations. But he said differences inside his country should not justify foreign interference in Iran's internal affairs. He also said that officials should act and talk in a way that doesn't provide any pretext for those who are targeting Iran's national interest and security.